Can Yoga help develop muscles and make you stronger? hi! Melissa i have a new question for you.can you tell me if yoga helps to create muscles in my body thank you melissa! Yes, yoga definitely creates strength in your body. A lot of the standing postures like the Warriors and Goddess Victory Squat. The chaturanga is great for strengthening your upper body. We have two Namaste Yoga classes that focus specifically on building strength. 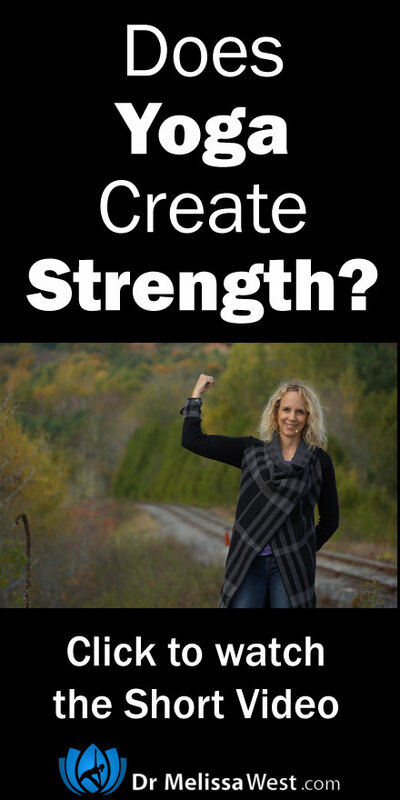 We also have a whole series on strength building on our membership site that focuses on each area of your body from your core, back, chest, biceps, triceps, shoulders and glutes, the members love it!